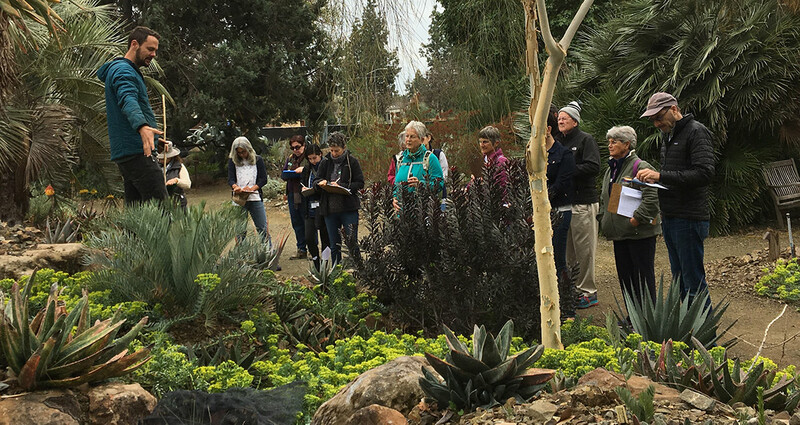 Thank you for your interest in the Docent Training program at the Ruth Bancroft Garden! Our Docents play a vital role in shaping our visitor experience by leading tours for children and adults, and serving as informal Garden Hosts—orienting and welcoming visitors to the Garden. 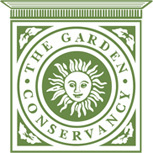 Docent Training consists of 10 Saturday morning classes where you will learn the history of the Garden, gain interpretive skills, learn basic botany, develop dry-gardening skills, and build a solid knowledge base of the many species of drought-tolerant plants in RBG’s collection. Plant identification walks are conducted in the Garden (rain or shine!) and are organized by plant family, with a new family introduced each week. Upon completion of the Docent Training Program, docents are expected to commit to at least one 2-hour shift per month. The schedule is flexible and tours are available Tuesday-Sunday. Docent benefits include a 20% discount at the Nursery (after volunteering 20 hours) and ongoing Docent Enrichment opportunities. Click here to complete and submit the Docent Training Application. If you have additional questions please feel free to email Anna or call 925-944-9352.